Image of point C dated Oct 22, 2005. A small bomb scored a hit. The Chinese shot down the U-2 for the first time on September 9 of 1962, killing the pilot Chen Huai (陳懷). Before this fateful mission, Chen had flown three other operational missions in the U-2, including the first ever Blackcat mission GRC-100. But unlike his first mission, whose aim was to collect intelligence on the development of Chinese long-range missiles in Central China, the second mission Chen flew, GRC-115, was to cover the coastal provinces of East China. Here are selected U-2 imagery of Chinese military bases. 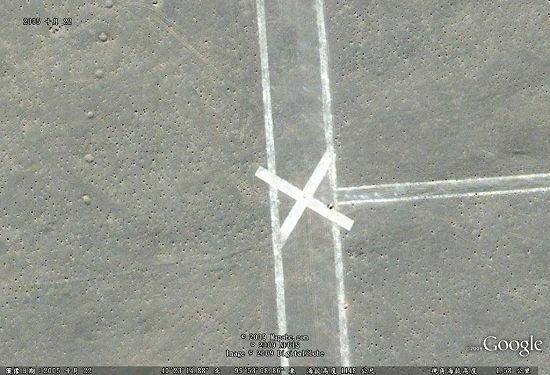 Google Earth users may want to download the associated kmz file to see what these bases look like now. Please save the file on your PC or copy its URL (http://taiwanairpower.org/blog/wp-content/uploads/2009/03/imagery_1.kmz). 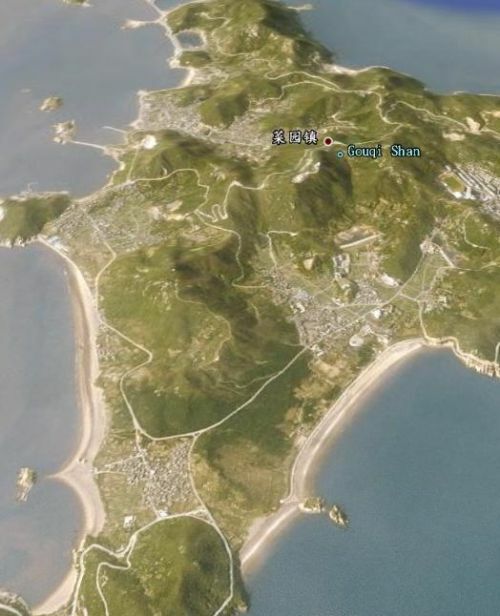 Then use Google Earth to open the file or URL. Double-click on the yellow pin and Google Earth will fly you to the location with the same orientation as the U-2 image. Bryan asked about the installation northeast of China’s Jiuquan Satellite Launch Center (酒泉衛星發射中心) in the post about Chinese replica of CCK AFB. Jiuquan Satellite Launch Center, aka Eastwind Space Campus (東風太空城), was built where Shuang Cheng Tzu Missile Center (雙城子飛彈測試中心) used to be. The installation Bryan asked about used to be the Surface-to-Air Missile (SAM) site.